A beautiful 70" x 88" quilt with blocks placed on point. We made ours with Maywood's 'Chloe' collection. 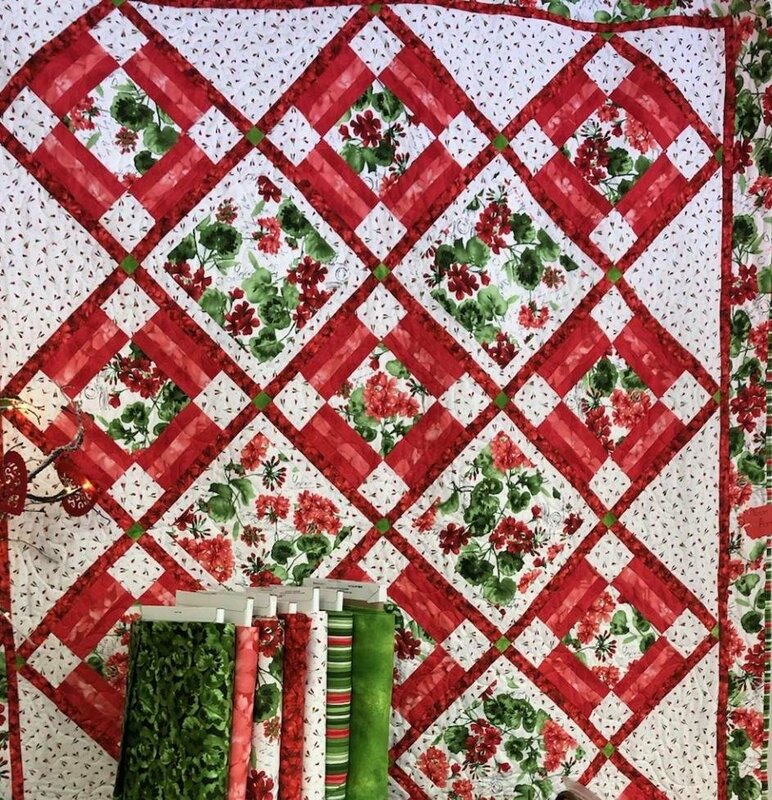 Price includes pattern and all materials to make the quilt top and binding. Please stop in before the class, you will need to prepare fabrics before the first class. A three day class. Requirements: Stop in before class. You will need to prepare fabrics before class.